Slovenia is a small country in Europe, slightly smaller than Lombardy, which holds a wide variety of uncontaminated areas. Its alpine landscapes, its forests, its valleys and its coastline make the country a perfect destination for all of us eco-travelers. After Finland, it is the greenest country in Europe: the forests cover more than half of the entire national territory. Despite its small size, Slovenia has plenty to do and everyone can find the perfect holiday for themselves. The territory includes four major natural regions: the alpine zone, Karst Plateau and the Pannonian plain in the east and the coast. 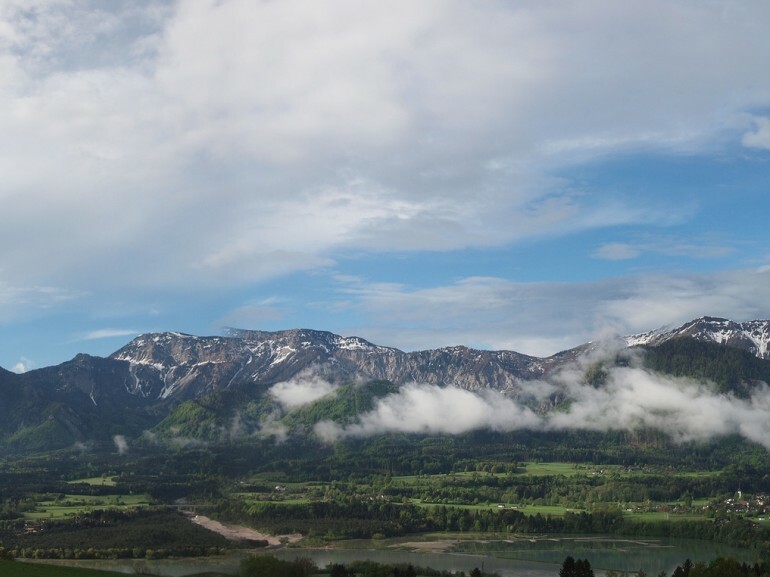 Mountain lovers can then head north, towards the Austrian border and reach the Karavanke, Kamnik Alps and the Phorje. The Karavanke owe their name to the direction of the mountains and the succession of valleys that seem to form a caravan. Here there’s beautiful peaks and uncontaminated nature that will take your breath away. The area is part of Natura2000 (European Union project which engages in conservation and protection of habitats and animal and plant species and biodiversity). Near the border of Italy, to the west, there are the Julian Alps that stretch towards southeast; here you can find the highest peak of Slovenia, Mount Triglav. From here, the view is stunning: we can see the valley of the river Soca and the upper valley of the Sava, united by the wonderful Triglav National Park. 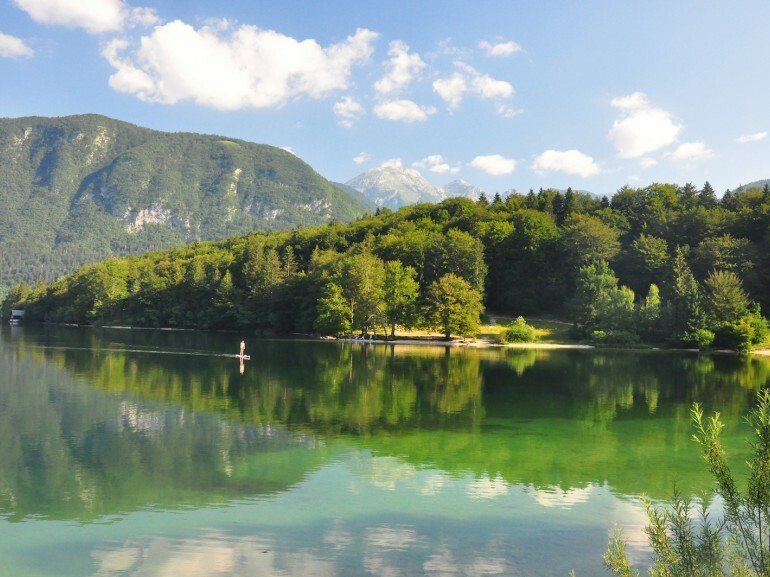 In the park there are numerous lakes including the largest in the country, Lake Bohinj. There are also many waterfalls, for example, near the lake, there’s the Savica falls. 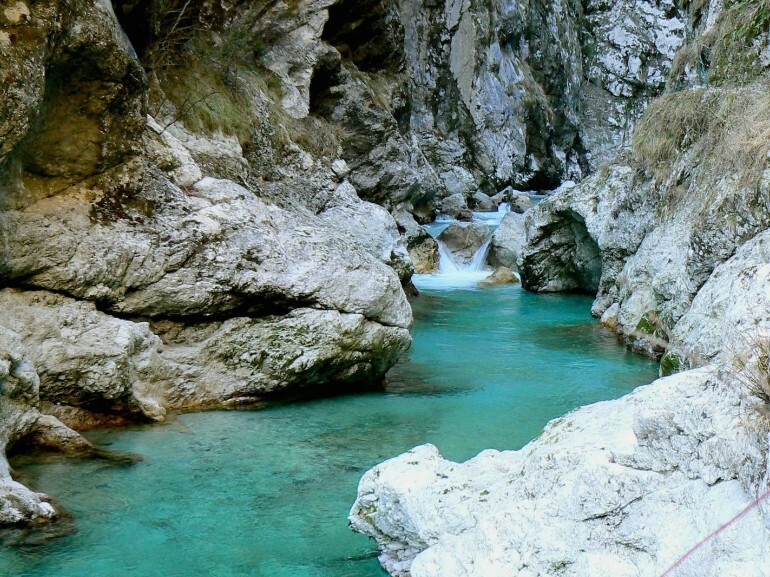 In the park, you can’t miss the wonderful gorge of the river Radovna, the Blejski Vintgar, and especially the Tolmin gorges. 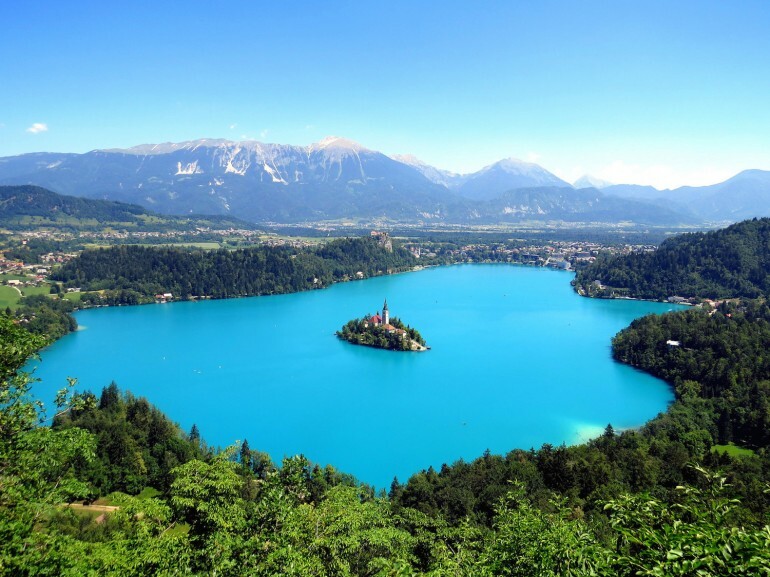 Not far from the park, there is one of the best-known attractions of Slovenia, the charming Lake Bled with a small island in the middle where stands the Church to the Assumption of Mary of XV century. 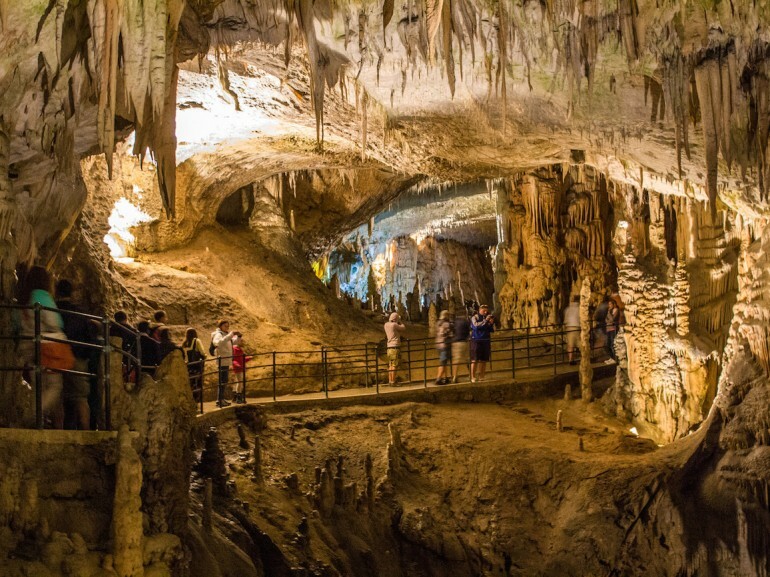 Even the Karst region gives to travelers great emotions thanks to its caves, gorges and rivers that become underground. Slovenia, although its richness in natural beauty, it also offers characteristic and picturesque towns and villages where you can discover the interesting Slovenian culture. Right in the middle of the country there’s the capital, Ljubljana. It’s a city with a green soul and this is why the European Commission has conferred the title of Green Capital of Europe for 2016. Here the bikes and even green areas are not lacking. The trees are scattered in the banks of the Ljubljanica river. 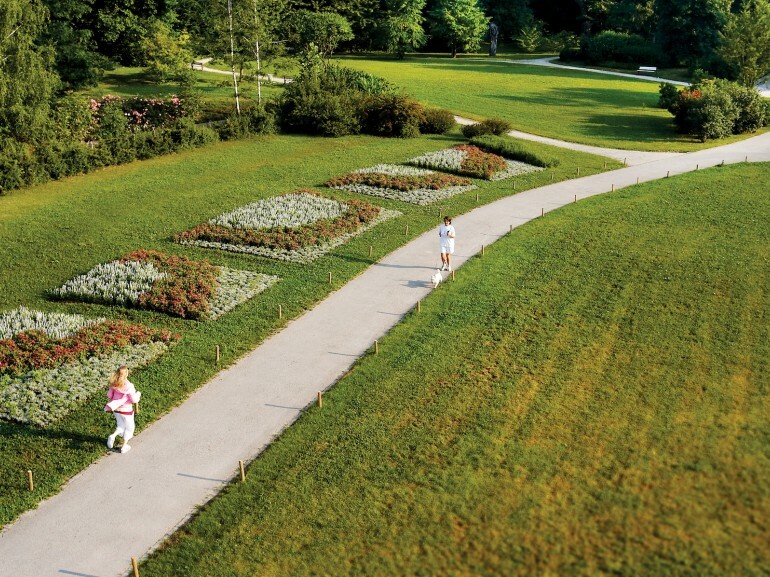 In the city there’s also one of the oldest botanical gardens in Europe. Just in the city center there is the beautiful Tivoli park. You must visit the castle which overlooks from a green hill the historic part of the city and from where many equipped paths starts. The architecture of Ljubljana is very charming and holds many styles, there are preserved evidence of a five thousand year history. Despite its rich historical heritage and tradition, Ljubljana is a young and very lively town and at any time of year it is easy to take part in events and art exhibitions. Among the many Slovenian villages we suggest you the second largest city, Maribor, which is located between the hills and the vineyards of the Phorje, and Piran, a picturesque village on the sea and perfect spot for summer holidays. To move in Slovenia in a eco-friendly way, you have three choices: the bike (there are plenty of cycle-paths), the train or even the great bus service. The richness of the territory is reflected in the cuisine: traditional recipes are many and what you can find in the taverns changes from region to region. As a starter there is nothing better than the cured ham of Karst (prsut) perfumed with juniper. There are numerous types of salami and sausages (including the famous Carniolan sausage), soups (like the Jota, of karst origin, made from beans and sauerkraut) and bread. On the coast of course there are fish recipes. Another element often found in recipes are mushrooms, gathered in the beautiful forests of the country. 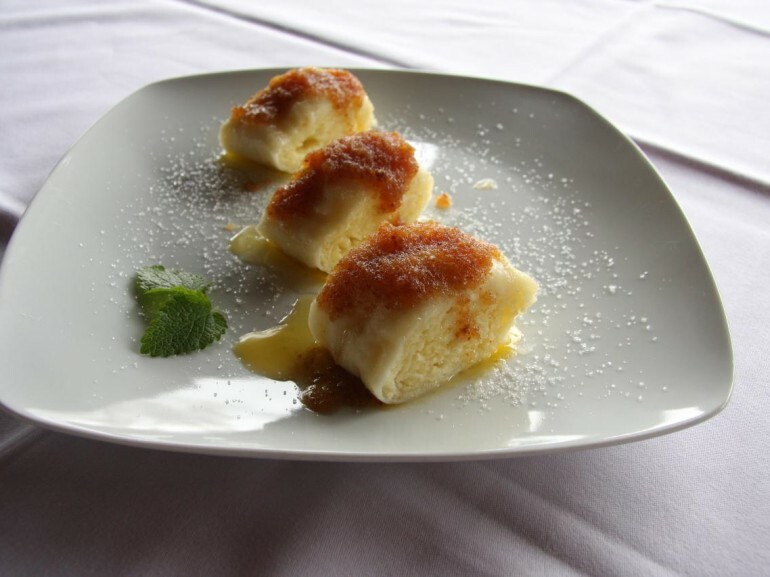 One of the most popular local dish is the štruklji, a stuffed past; every region has their own version. Among the desserts the most famous is the potica, made from yeast dough with over 80 different fillings, in the more characteristic variant there are honey, walnuts, poppy seeds and nuts). Each meal is accompanied by fine Slovenian wines, a key element of the history and tradition of the country: in the territory there are many immense vineyards. In Maribor there’s the oldest vine in the world growing from 440 years on the facade of a house in the district of Lent on the Drava. For the wine lovers, do not miss the wine routes in the wine regions, along which you can taste the excellent Slovenian wines. 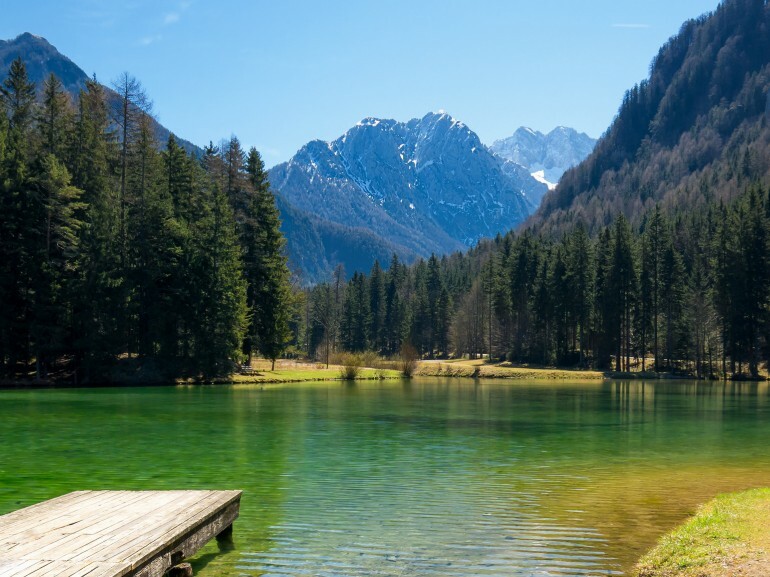 Slovenia is a paradise for sports and nature lovers nature. In every corner you will find slow itineraries and natural beauty to discover. From the parks of the cities where you can jog in the morning to the long cycle-path that go through entire regions: the activities are endless. To move in Slovenia in an eco-friendly way you have three options: the bike, the train or even the great bus service. 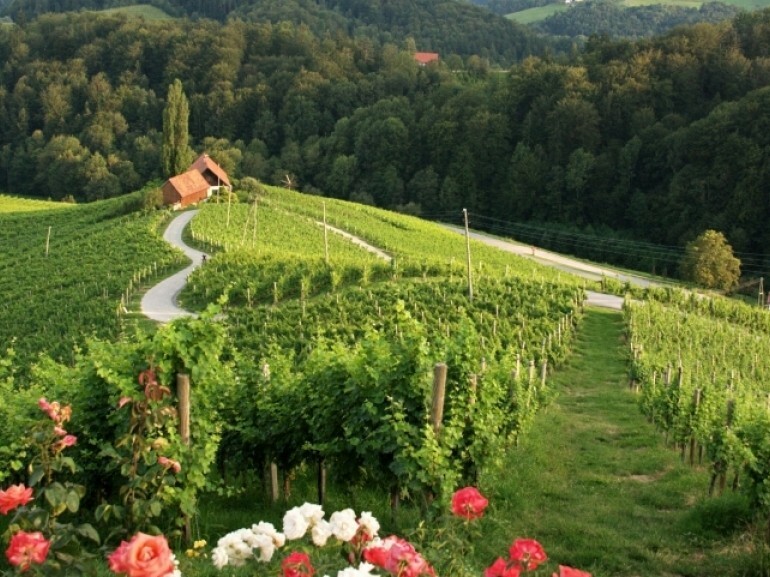 Discover all the sustainable accommodations in Slovenia. Choose between bio farmhouse and eco.friendly B&B for an unforgattable holiday. 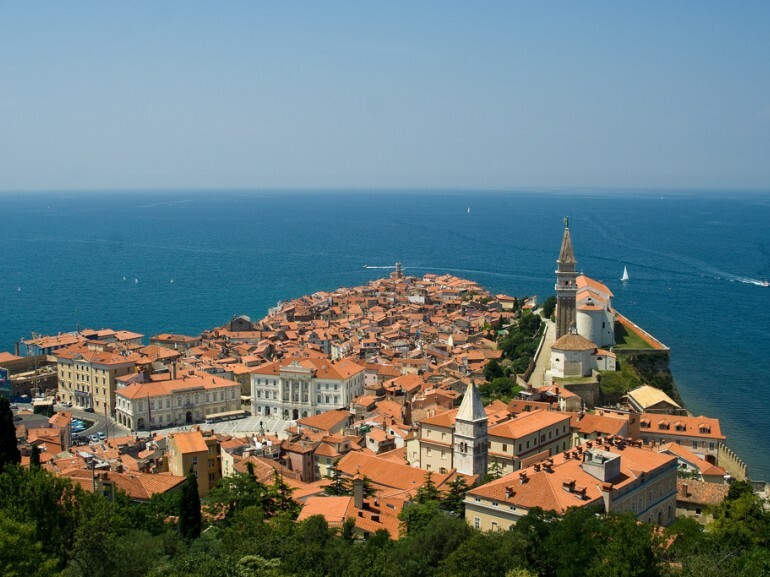 We suggest you to organize as soon as possible your trip in Slovenia, a small country that holds a large number of attractions and natural beauty. Each eco-traveler will find what he seeks, from cyclists to sea lovers, from who want to experience the mountains to those who love to discover new cultures.